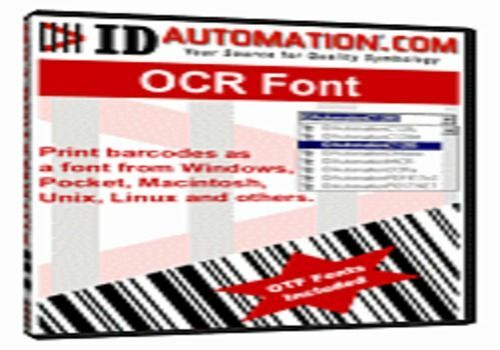 IDAutomation's OCR-A and OCR-B fonts were created from the latest ANSI and ISO specifications and include the Euro symbol. TrueType, OpenType, PCL laserjet soft fonts and PostScript font versions are included for support of Windows, Pocket PC, Macintosh, UNIX and Linux. We have also included additional characters in the OCR fonts to comply with OCR-B1 Eurobanking and OCR-A1 Eurobanking specifications. The OCR A font also complies with ECMA-11.